In The Wake of Gods is the first new campaign WoG 3.58f provides. 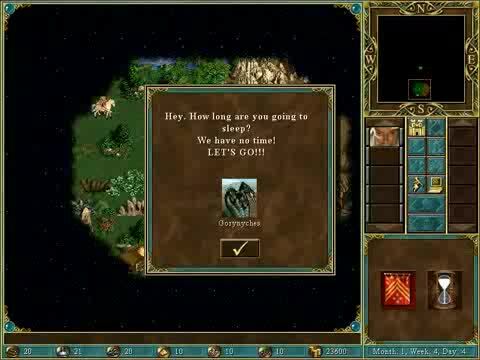 WoG campaigns were created mainly to demonstrate the capabilities of the new script language and the new horizons in mapping and modding the original game. Here is the Part 1 Walkthrough made by Mihai Radu.